Wilder: Hearn, Joshua Stalling; Know It's Over Once We Fight! 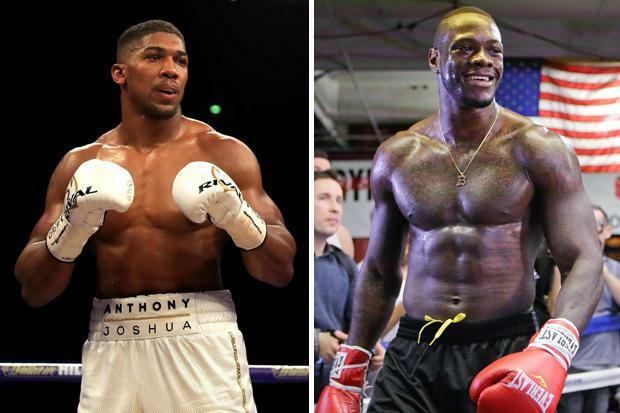 Deontay Wilder knows why fellow heavyweight champion Anthony Joshua and his promoter, Eddie Hearn, are putting off their showdown. According to Wilder, he can hear it in their voices when they discuss potentially fighting him sometime in 2018. England’s Joshua (19-0, 19 KOs) will return to the ring Saturday night for a mandatory defense of his IBF heavyweight title. The British knockout artist will face Cameroon’s Carlos Takam (35-3-1, 27 KOs) before a crowd expected to exceed 75,000 at Principality Stadium in Cardiff, Wales (Sky Sports Box Office; Showtime). A week later, Wilder (38-37 KOs) will make a mandatory defense of his WBC championship against former champion Bermane Stiverne (25-2-1, 21 KOs). The Tuscaloosa, Alabama native’s November 4 fight against Las Vegas’ Stiverne will take place at Barclays Center in Brooklyn, New York (Showtime). Wilder, 32, hopes he and Joshua, 28, score knockout victories and fight each other next. He isn’t optimistic about that, though, and wants fans to realize that it isn’t him that’s delaying the heavyweight fight virtually everyone wants to see. “Hopefully it happens,” Wilder said. “And if don’t, it just don’t. It’ll be a shame for the fans. I’m not the one that’s sitting around. We need each other, but we don’t need each other. If the fight never happens, I’m good. I just don’t want people to say I never called him out or never tried [to make the fight]. It’ll be more on him than me.